Colorado is such a beautiful state, it's the ideal setting for outdoor yoga. In Partnership with Christina Lewis of Endorphin Yoga Studio, we will cater all your needs on your yoga journey. Christina Lewis lives an active lifestyle and loves to take full advantage of as many outdoor adventures that Colorado has to offer, regardless of the weather! She came to yoga due to a sports related injury while training for a triathlon. Never really giving yoga the credit as a meaningful work out, she immediately realized how wrong she was after her first class. Soon after, her practice transformed into much more than a physical exercise, it became a way to connect the body and mind. She completed her 200 hour YTT with Qi in 2012 and embraced teaching right away. Since that time she has been imparting the benefits of yoga with anyone who will listen but especially to athletes. Sharing a dharma and energizing practice with students in a beautiful setting is one of her favorite aspects of teaching. Join her on a yoga adventure! 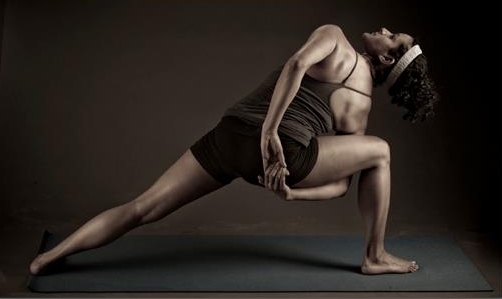 Since qualifying 4 years ago she has been teaching at Endorphin Yoga Studio. She teach's multiple Vinyasa Flow and Restorative classes every week. 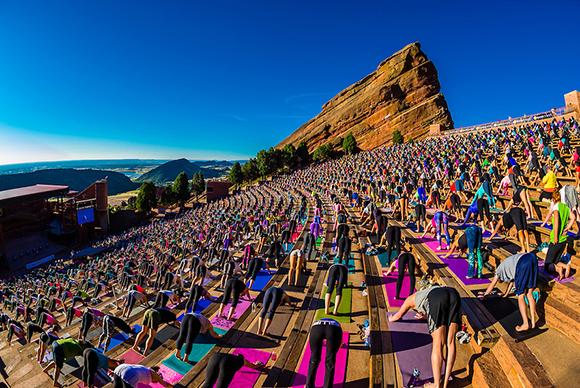 Experience one of the most extraordinary venues in the world from a different perspective - Downward Dog.